Waters made her comments over the same weekend that White House Press Secretary Sarah Huckabee Sanders and her family were refused service at The Red Hen in Lexington, Virginia, and followed off the premises. Mediaite reports it was also the very weekend on which Florida Attorney General Pam Bondi was confronted with screams from “huge” angry men at the Tampa Theatre, forcing her departure. Now voices as disparate as actor James Woods, law professor John Banzhaf, and Crime Prevention Research Center’s John Lott are advising individuals in the left’s crosshairs to get guns and/or concealed carry permits. 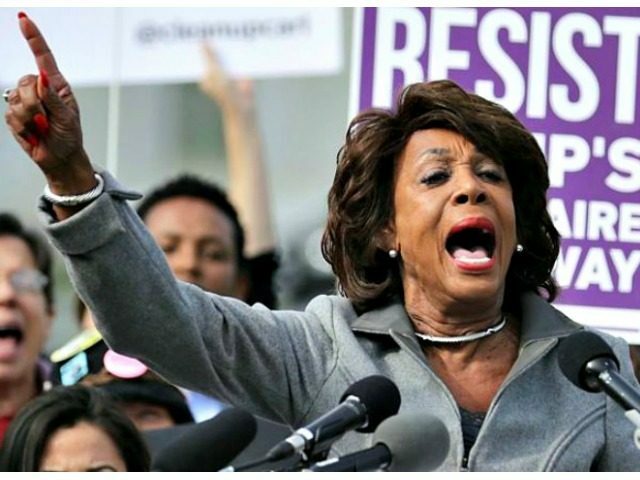 High level officials in the Trump administration, especially if their faces are likely to be recognized by many in the public as a result of appearances on TV, might want to consider applying for a license to carry a concealed weapon in the District of Columbia, and/or other states they frequent, in view of the call by Rep. Maxine Waters for the public to “absolutely harass” these officials in public places, and other recent events indicating the increased danger they are in. This is the same thing that I was thinking of yesterday after I saw what was done to these people. It would be smart to buy a shoulder rig that you can wear under a jacket that way you could easily take you gun out to defend your self instead of having it in a purse where it might be grabbed by one of the left wing crazies. Also, take target practice exercises to improve you aim.